The thirteen profiles in this “luminous” (Jazzwise) collection weave together stories of the individual jazz musicians’ lives with the history of the jazz era, and the music’s evolution from the speakeasies of New York to the concert halls of the world’s greatest cities. 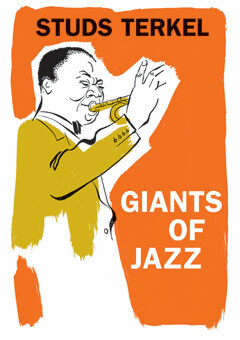 Terkel—a lifelong fan and friend of many of these legends—uses firsthand interviews with artists such as Louis Armstrong, John Coltrane, Billie Holiday, Duke Ellington, and Charlie Parker to tell the human stories behind the giants who shaped this uniquely American music form. Some of the many fascinating details Terkel relates include Joe Oliver’s favorite meal, Fats Waller’s 1932 rendezvous in Paris with eminent organist Marcel Dupré, Dizzy Gillespie’s childhood trip to a pawnshop to buy his first horn, and the origin of Billie Holiday’s nickname.